Any documentation for excused absences or extenuating circumstances must be submitted within 5 school days of return to school or the absences will be unexcused. Students will be allowed to make up any work missed due to temporarily excused absences, fully excused absence and extenuating circumstances. All excessive unexcused or excused absences must be made up before a student will receive earned grades. Excused Absences – student presents a note from parents with an excusable reason (sick, family, emergency, car trouble, etc.). The student can make up any missed school work and receive credit for the work, but the day of absence counts against the number of days required for school attendance. Medical Absences – student has a note or excuse from a medical doctor or dentist for the day or days of absence from school. These excused days do not count against the student’s days required for school attendance. The student may make up any work missed and will receive credit for any makeup work. Unexcused Absences – either the student did not present a written excuse for the absence or the written excuse was not a valid excusable reason for being absent. Extenuating Circumstances – absences resulting from extenuating circumstances can be appealed to a district level or school level attendance worker who has the authority to declare the absence as an “extenuating circumstance”. In the state of Louisiana, only a Child Welfare and Attendance Supervisor or Director of Child Welfare and Attendance may declare the absence an “extenuating circumstance”. When the appeal is approved for “extenuating circumstances”, the day of absence is totally excused, all work may be made up, and the day of absence does not count against the required number of days for school attendance. The only exception to the attendance regulation shall be enumerated extenuating circumstances that are verified by the Director of Child Welfare and Attendance. Observance of special and recognized holidays of the student’s own faith. For any other extenuating circumstances, the student’s parents or legal guardian must make a formal appeal in accordance with the due process procedures established by the LEA. Prior school system-approved travel for education. 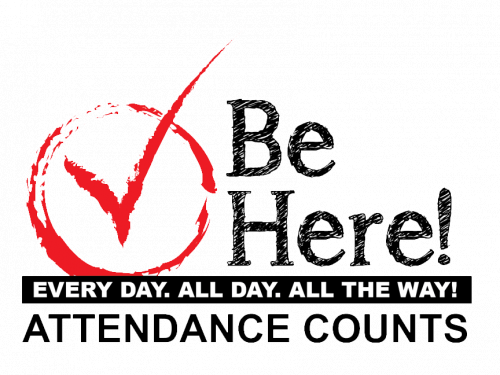 Excellent Attendance – 3 days or less or any combination of hours equal to 3 or less school days.